After 30 days of travel across the world, plagued with countless battles, Jotaro and his companions have finally arrived in Egypt! Now only the strongest "Stand" users remain to rebuff our heroes' final march on Cairo: The Nine Egyptian Gods, Dio's most zealous servants. 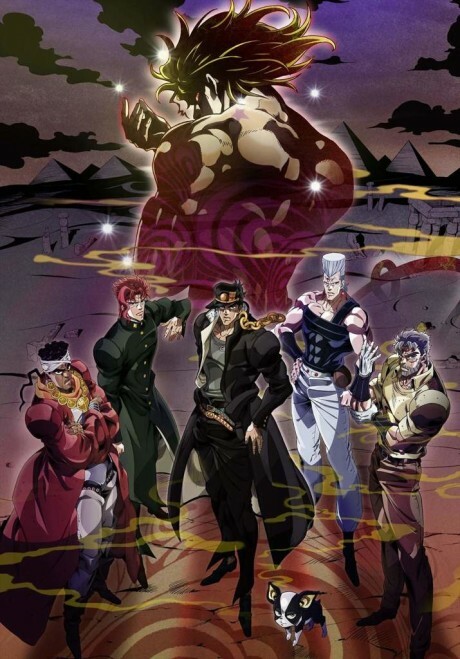 Will the Joestar line fall to the monstrous vampire, or can Jotaro defeat Dio and save his mother's life? This is when JoJo truly becomes JoJo.